Tony Kaye, the multi-award-winning director, is aiming to get into the record books for directing the highest number of commercials in one day, by shooting 175 different ads in under nine hours. He claims to have shot 175 different commercials for a campaign for Forever Diamonds, starting at 8am and wrapping at 4.45pm yesterday (Thursday). Kaye, who shot the films in Mount Pleasant Studio in London, is working with Lean Mean Fighting Machine, the creative agency on the campaign and Sacha Puttnam, composer and son of Lord David Puttnam, who is composing the score. The Forever Diamonds campaign, which is creative directed by Sam Neil, a creative partner at Lean Mean Fighting Machine, is about "the personas of women", according to Kaye, and has a different actress in each execution. It was Kaye's idea to shoot a record-breaking number of ads on the day. The films will appear online in the coming weeks and there are plans to feature them as part of an upcoming exhibition for Forever Diamonds. Kaye has already been in the Guinness Book of World Records for an ad he created for Vauxhall Astra in 1996, by Lowe Howard-Spink, which had two thousand babies in it. The director, whose feature films include American History X and most recently Detachment, was honoured at the D&AD 50th anniversary awards this week as its most awarded director of all time, a title he shared jointly with Frank Budgen. He announced his return to UK advertising this summer after launching his own production shop Above The Sea. 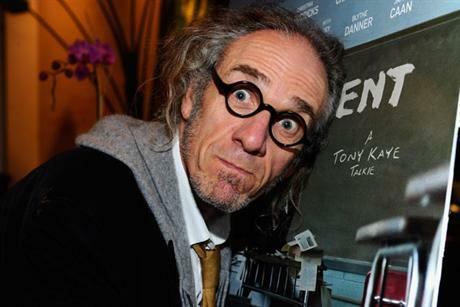 To read about Tony Kaye as one the 'The Greatest: D&AD all-time award-winners' click here.